The best window displays in Toronto carry on a long tradition in this city even as they modify it somewhat. Back in the early part of the 20th century places like Eaton's were popular destinations for window shoppers who were attracted to the elaborate displays and happy lives depicted for all to long for. To a great extent, consumers have replaced this practice by browsing for products on the web, even if places like Holt Renfrew and The Bay still pull out all the stops for their window displays over the holidays. 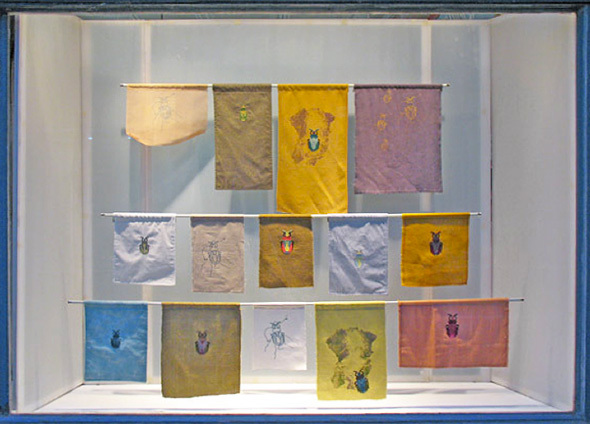 But if the internet has become the place to "window shop" these days, that doesn't mean that the creative window display has become a thing of the past. Sure some retailers may take less care with these sorts of things, but one can nevertheless still find brilliant examples of what one might call this art form at certain book and music stores, not to mention the fact that there's been a rise in micro-galleries in the last few years whose main function is to display work in this way. Here are the best window displays in Toronto. Putting together the elaborate and often hilarious window displays at Sonic Boom is almost a full time job, and Tim Oakley does damn good one at that. Generally inspired by the cover art of a given album, he works with a budget of around $500 every six weeks or so to dream up a kitschy take on new releases that the store chooses to feature. Local bands often get some love, but the window display treatment is generally driven by what Oakley thinks will make for the best visuals. Although nearby Monkey's Paw may win the award for the oddest selection of titles to grace a window display, TYPE takes the cake for novel ways (please forgive the pun) to fashion literary-inspired art at its window on West Queen West. 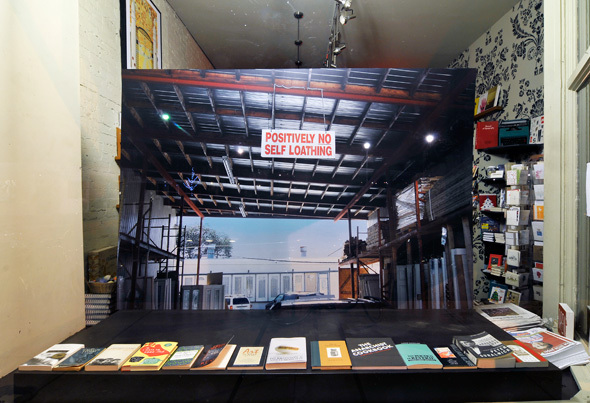 Always a good combination of books and more visually oriented materials, the store invites some pretty talent artists -- Micah Lexier comes to mind -- to take up the task of dressing the window displays. Curated by staff member Derek McCormack, each display is up for about six weeks or so. With the opening of Narwhal Art Projects, Magic Pony was able to devote a space solely to the display of artwork without the retail crossover that takes place at the original location. But that doesn't mean that the windows have taken turn for the worse. Like the store itself, they occupy that strange region between the commercial and artistic, and still offer one of the best examples of how creative one can get when given a giant window to work with. 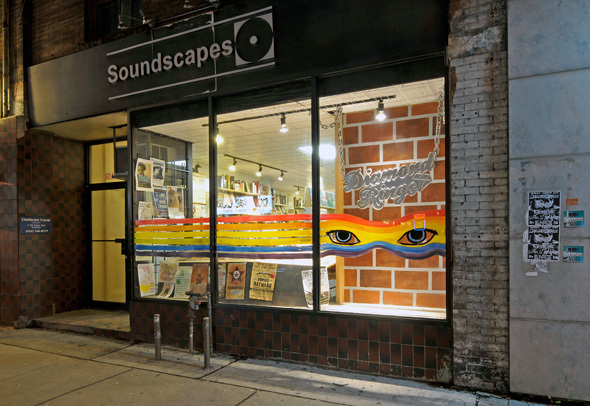 While Sonic Boom's displays are bigger and more elaborate, there is an understated cool to the way that this College St. record store treats its windows. Although I've almost entirely switched to buying digitized albums now, every time I walk by, I find myself pining for the material object that is a CD (or record), complete with liner notes. And, on top of its visual appeal, a quick perusal of the selection of albums in the window wouldn't be the worst way to go about finding new music, bands or albums. The selections are always well curated, and when I'm not getting advice on who to listen to from the blogTO music team, a walk by Soundscapes will often do the trick. 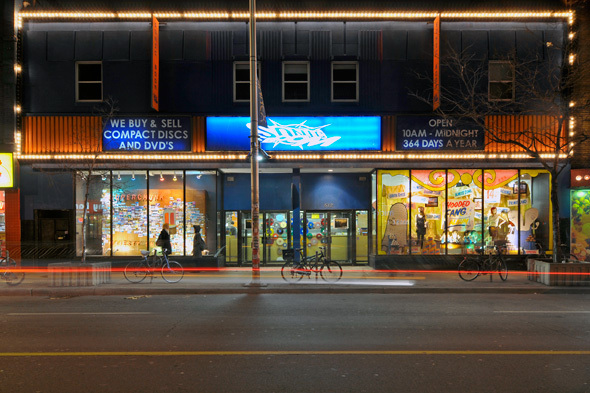 Convenience Gallery is a beacon of (all night) light and art on Lansdowne just north of Queen. Housed in what was obviously a former convenience store, this is the definition of a window gallery, and a long list of established and up and coming artists have displayed here over the years. For my money, the work is best viewed at night, when it tends to "pop" and draw the viewer in to stare for an extended period of time. 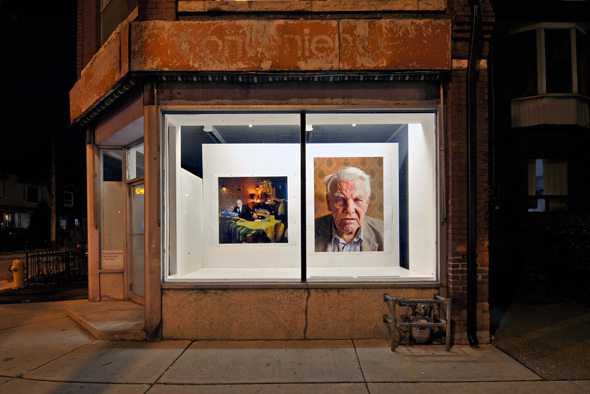 Another long-standing window gallery, Roadside Attractions isn't located in what many would consider an art-driven neighbourhood, but nevertheless, there's always something compelling at this display on a lazy stretch of Davenport immediately west of Christie. 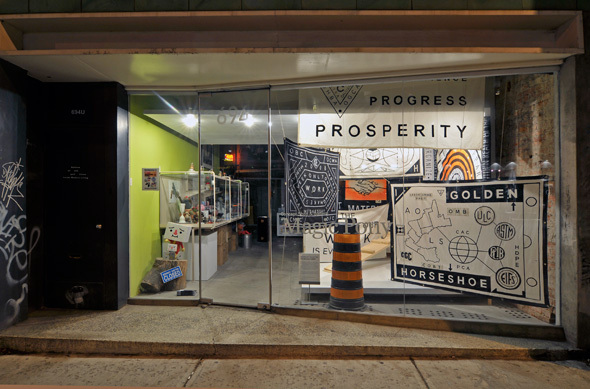 Curated by WeeSee Inc., the storefront gallery was one of the first in the city to embrace the concept. This one's easy to miss, but once located it becomes an regular source of fascination. 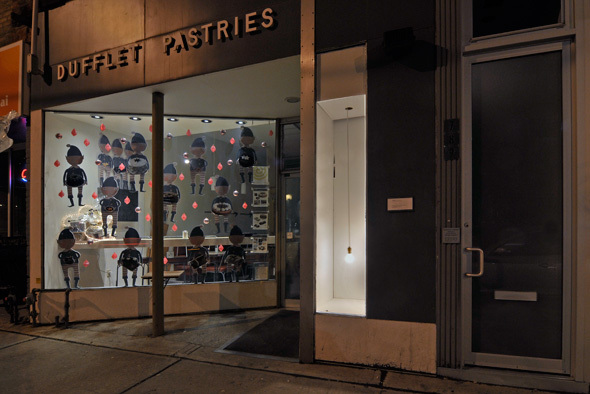 Found right beside Dufflet Pastries (who co-sponsors the project), this slim window display -- two feet by eight feet -- hosts a new exhibition every month. Curated by Joy Walker, this is exactly the type of thing one hopes that his or her city has in healthy supply: surprising and delightful displays of pubic art that are just hidden enough that stumbling across them feels as though it's a generous reward for exploring the world on foot.